King Pin: 2" bolting king pin. Brand: JOST. Twist Locks: Twelve (12) retractable ISO type twist locks. JOST D200T, left operating. Made in China. 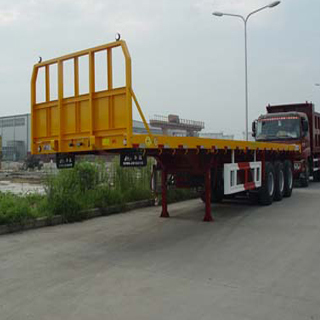 Axles: 150x150 square axle with 13 tons capacity. Rims: 11.75-22.5, 10 Holes ISO, 6 pieces.